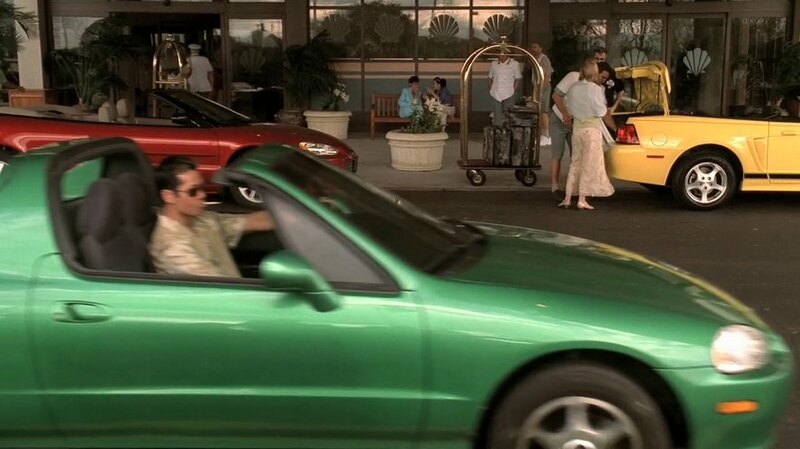 IMCDb.org: 1993 Honda Civic del Sol [EG] in "The Sopranos, 1999-2007"
This car appeared in episode 4.4 "The Weight" it was driven by a hitman (Stephen Sable) hired to kill Ralph Cifaretto in Miami (for making a joke about New York underboss Johnny Sack's wife's weight). The hit was called off just in time. Isn't "CRX Del Sol" the proper name for this? In Belgium it was only called "Civic CRX", without "Del Sol". And in Japan it was "CRX Del Sol". "Starting with the 1995 models, Honda dropped the 'Civic' name from the del Sol cars"
Coun't they make easier naming system?